Fallout 76 is live right now. It wasn’t supposed to go live until midnight tonight but it’s arrived early so you can start your journey through Bethesda’s post-apocalyptic MMORPG right now. We’ve been able to log into Fallout 76 on PC through the Bethesda launcher. You should be able to get into the game yourself now too – if you’ve already pre-loaded that 60GB install, that is. If you played the beta then then extra good news is that your character will transfer over to the full game. Unless you didn’t like them, in which case, you can create a new one and forget they ever existed. Fallout 76 was supposed to come on November 14 so its arrival today – on November 13 – is a surprise. Bethesda even released a graphic with Fallout 76 release times yesterday that stated it wouldn’t go live until 12:01 GMT on November 14. Not only has the PC version gone live early but Eurogamer reports that the PlayStation 4 version of Fallout 76 is live too. 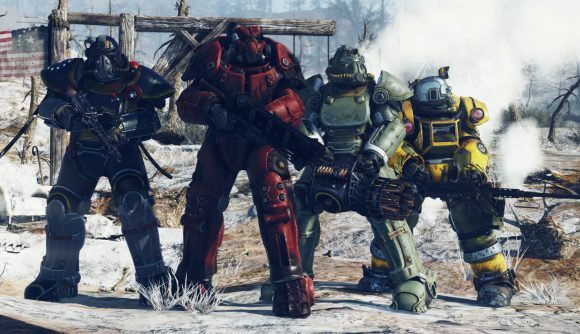 If you’re playing the game today then you should check out our Fallout 76 levelling guide. Plan on getting weird? We have a list of all the Fallout 76 mutations you’ll need. Or if you’re getting crafty make sure to check out where all the Fallout 76 Public Workshops are. Wanna settle down? We have the Fallout 76 CAMP guide for you.